Subsequent to losing only three points on his serve in the initial set, Roddick went off track. Thus, Murray capitalized on a break point chance in the opening game and promptly consolidated for 2-0 in the second set. Later, with a sweet backhand pass for a winner, Roddick arrived at break point. When Murray’s dropshot failed to clear the net on the next point, the men were back on serve at 2 all. Roddick surged on getting his fourth break of the day to capture a 5-3 advantage. Soon, with a forehand up the line winner, Roddick secured match point. 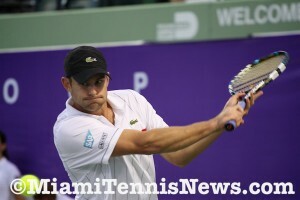 Then, by striking another forehand winner, Roddick sealed the win. 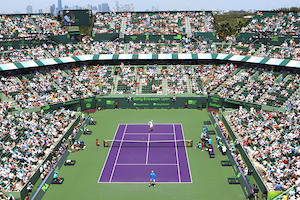 In the second semifinal match, Nicolas Almagro dispatched John Isner in straight sets to set up an encounter with Roddick in Sunday’s final.